Have you purchased anything gun related in the last forty eight hours? Thread: Have you purchased anything gun related in the last forty eight hours? How about a SIG P320C RX? Just picked up a 24/7 OSS 9mm. Rossi, GreenWolf70, Fishinkeylargo and 3 others like this. Plano plastic gun case (for my Hi-Standard), pair of pink shooting muffs for my daughter, all yesterday while at the range. "Don't be chicken - it takes guts to defend yourself and your family!" The only thing I can remember buying that is gun related in the last couple of years is Hogue grips for my S&W 642 and a set of 9x19 Dillon dies for for my SD-B. I am currently saving up to buy a box of bullets. Last edited by jeeper1; 06-11-2017 at 04:54 PM. New Grips for a Raven MP-25. If you expand it to 96 hours I can add about five more things. Rossi and RAEIndustries like this. New Grips for a Raven MP-25. Who's making grips for old Ravens? What I'm really curious about is if they cost more than $40 - that's what I used to buy Ravens for, brand new. If you expand it to 96 hours I can add about five more things. olfarhors and RAEIndustries like this. Bought a cross slide drill press vise for a Glock ghost gun. Still waiting the 80% kits to be in stock. 2 Hogue Handall grip sleeves and an inexpensive crossbow for fooling around in the back yard; will be buying a Beretta 92FS later today or tomorrow. 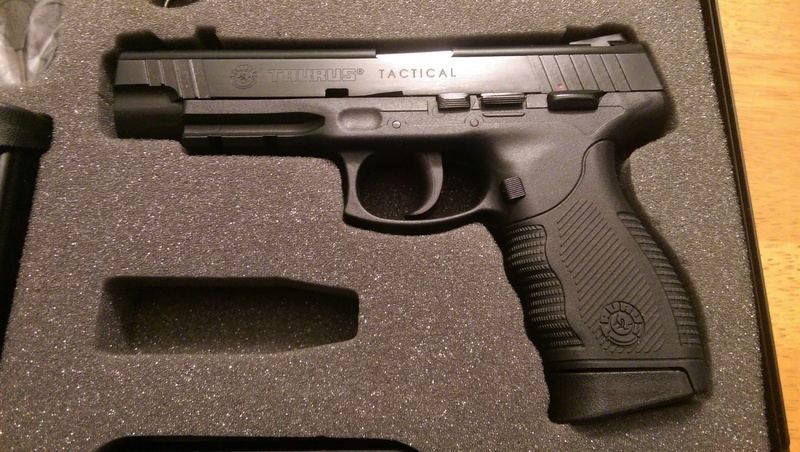 I purchased my second gun ever today. I purchased my second Taurus ever today.